Archbishop Eulogius of Sumy and Akhtyrka asked Ukrainian President to protect Trinity Cathedral in Sumy from seizure . March 29, 2018. Archbishop Eulogius of Sumy and Akhtyrka has sent a letter to Petro Poroshenko. In his message to the Head of State, the archbishop expressed concern over the intentions of the leadership of the UOC KP to initiate the seizure of the Trinity Cathedral, the Bishop’s seat, reports the press service of the Sumy eparchy on March 29. 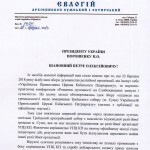 According to the leadership of the cathedral, at its official event the UOC KP became the initiator of actions, the result of which should be the alienation of church property of the religious organization. 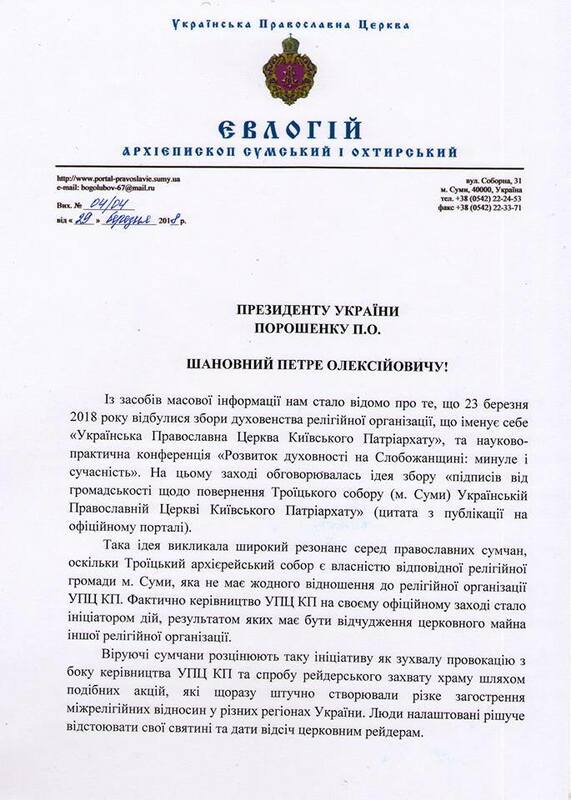 Sumy believers have already called such an initiative a provocation from the leadership of the UOC KP and see it only as an attempt of a hostile takeover of the temple.